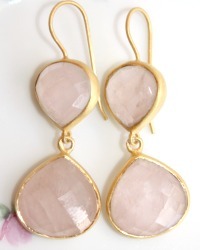 Elegant and so feminine, these faceted pink quartz teardrop earrings glow like dawn's first light. Encased by gold vermeil settings, and hung from French wires, they will reflect light and showcase your beauty in a special manner. 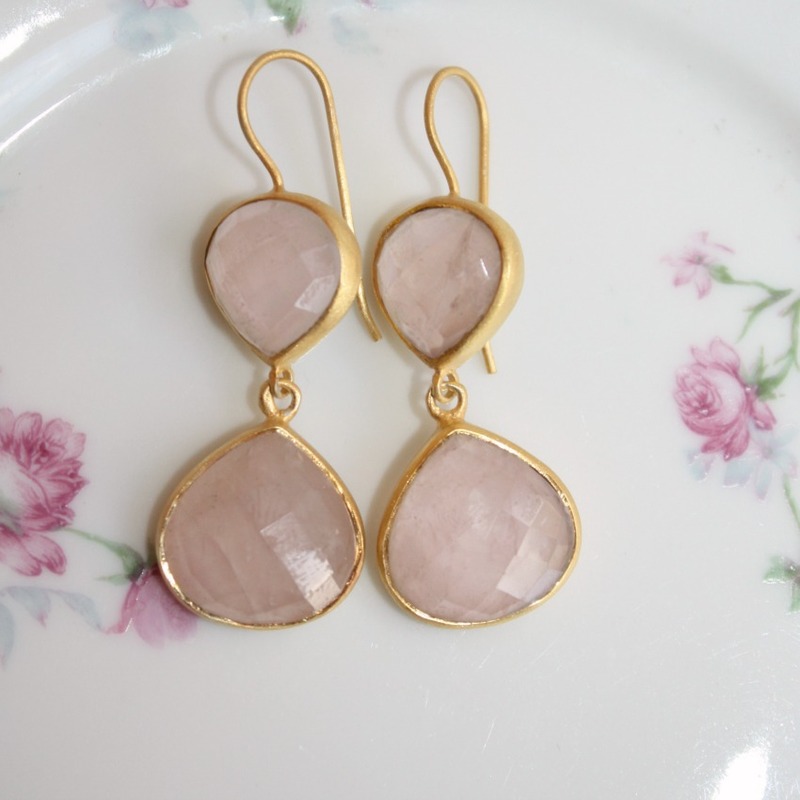 One of life's little luxuries, these semi-precious earrings will be your favorite this season!